When a patient schedules a Bone Marrow Aspirate Concentrate/Stem cell procedure in our office, part of the recommendations leading up to and following your SD procedure is elimination of Statins for a period before and after the procedure. While Statins are clearly effective in reducing the risk of major atherosclerotic cardiovascular events, and the cardiovascular benefits outweigh the risks of treatment, there is a skeletomuscular price to be paid with the use of Statins. With accumulation of more data and longer term monitoring on the outcomes of Statin prescription, we have learned that adverse events include, most commonly, muscle pain, aching and weakness usually without elevation of muscle enzymes, specifically the CreatineKinase. All Statins can cause myopathy defined here as unexplained muscle pain or weakness. While in rare settings, the myopathy may be accompanied by CPK levels more than 10 times the upper limit of normal, and progression to a serious irreversible form of myopathy, rhabdomyolysis, in most situations, it is muscle pain and weakness without changes in muscle related enzymes. In spite of all of these observations, as of this time there is no scientific explanation in most settings as to why a patient may manifest Statin intolerance. As far as why Statins are associated with weakness, pain and muscle aches, there is no pharmacologic evidence other than the disappearance of symptoms when the dose is lowered , the proprietary prescription is changed or the pharmacologic is discontinued altogether. The high success rate of the disappearance of symptoms following a period of abstinence and then reintroduction is consistent with nonpharmocological mechanisms for intolerance. Do Statins adversely affect the muscle cell mitochondria? In a group of obese patients for whom an exercise regimen was incorporated into their weight loss, fitness routine, those on Statins had a more difficult time with a higher expression of diabetes as contrasted with those who had not been prescribed the Statins. I am not an internist; I admit I use Statins as I have a cardiovascular disease family history. They are prescribed by my internist and I don’t challenge his expertise; my recent ultrasound/echocardiogram stress test results confirm his wisdom. 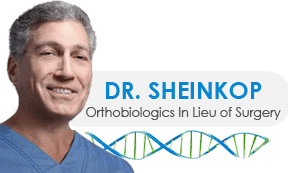 Nevertheless, I now have a reasonable explanation for my own transient muscle discomfort and you have a reasonable explanation as to why we recommend the elimination of Statins prior to and following a Regenexx SD Stem Cell procedure for an arthritic joint.